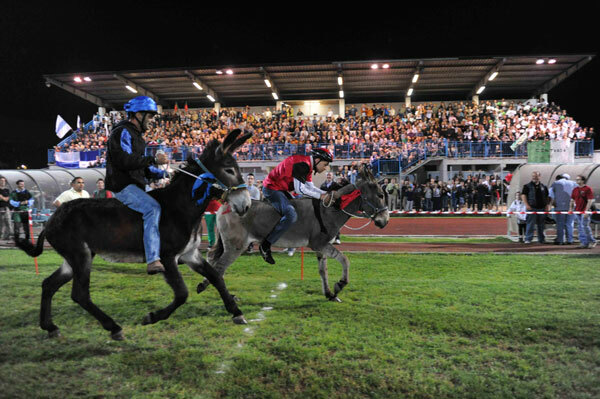 Palio de’ Ciui is an event that takes place in the last week of June in S.Maria a Monte, around the soccer field. It is a donkey race, the village is divided into six districts. The night before the Palio every district unthread in a historical procession where each district chooses a different theme. There is a jury that chooses the winner. in the afternoon every district prepare the racetrack. The palio starts at 9 p.m. but this year the race is taking place in the streets of the village, from Carducci’s house (where there is a museum) to the soccer field. 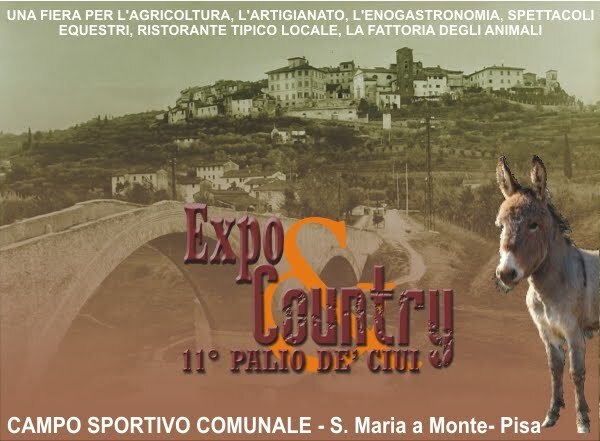 This is the 14th edition and is organized by the Horse riding Club in S. Maria a Monte. In addition to this race, at 7 p.m. there is the ”Palio delle Amazzoni” separeted in two categories, men and women, first the women who are called ” Amazzoni”, then the men who are called jockeys like those who run with a horse. In these days in the village there are stands, street market, entertainment for children. I like this event because the people are united and it is fun, it is different to any other.